Fish oil pills have healthy fats known as polyunsaturated fats. In these fats, there are omega-3 essential fatty acids(EFAs) where eicosapentaenoic acid (EPA) and docosahexaenoic acid (DHA) are the most abundant. EPA and DHA are highly beneficial for weight loss as they promote fat loss. The adipose tissue which is the storage place for fatty acids deposits is the reason why you're overweight or obese. What fish oil pills can actually do is use these fat stores as a source for energy during exercise. This process is also known as fat oxidation or thermogenesis enhancement. 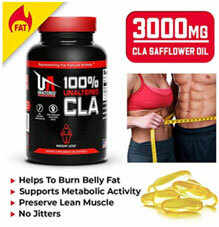 The end result is you'll burn more fat and excess calories and lose weight faster thanks to fish oil pills supplementation. Furthermore, fish oil pills stimulate protein synthesis and enhance muscle building. Our muscles are made up of protein and amino acids. The higher the protein absorption is in your muscle tissues, the faster you'll build muscles. When you have muscle mass, your body's ability to burn fat will increase and you can even lose weight while inactive. But don't consider fish oil pills as a miracle weight loss product as it's not. It's best used in conjunction with regular exercising and a healthy weight loss diet for optimum results. When we eat carbohydrates, the latter is converted to glucose in our blood and used as energy for our daily activities. This is a good thing for sure but not when you consume excess carbohydrates. When excess carbohydrates can't be used for energy consumption, the excess glucose get stored as fat. What fish oil pills can do is use these carbohydrates more efficiently and limit the fat storage accumulation. Anyway this does not mean you should consume excess carbs in every meal. It's never a good idea. Carbs should be eaten in moderation in every weight loss diet. A faster metabolism means food consumption is processed more effectively for energy by your body making it less prone for fat storage. It also enhances your body's fat-burning furnace making you shed fat faster. It's pretty amazing how regular fish oil pills intake can be beneficial for your metabolism because how can fats actually boost metabolism in the first place. Does not make any sense at all. Well this is not any type of fats. Polyunsaturated fats are one of the healhiest fats you can find and there are umpteen benefits in using them often. Why did your doctor tell you to eat oily fishes like salmon, sardines, anchovies, mackerel, herring at least once a week? These type of fishes are rich in polyunsaturated fats. Fish oil pills are actually made from these type of fishes and the more concentrated the EPA and DHA are, the better. Fish oil pills have other health benefits apart weight loss. They can reduce joint inflammation, prevent arthritis, reduce bad blood cholesterol and triglycerides levels, prevent hardening of arteries and coronary heart diseases, strengthen immune system and prevent blood clots due to its anti-coagulant properties. In addition, they improve mood, brain functions and promote healthy skin and eyes. It has also been said that regular fish oil pills consumption can actually lower the risk of triggering cancer due to its powerful antioxidants content. What About Eating Oily Fishes? Eating oily fishes is a good idea but the inconvenience is you need to eat a lot of fish to reach the required omega-3 EPA/DHA daily dosage(up to 3000 mg as per the FDA)whereas with a single fish oil pill(1000 mg), you already got about 1/4 of your daily EPA/DHA requirement. You usually need maximum 4 fish oil pills per day for best results, taken after your meals. Fish oil pills are convenient and handy and are cheaper if you consider the amount of fish you need to buy versus a single fish oil supplement. So with time, you'll save more money. 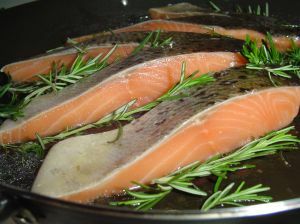 But incorporating oily fishes in your diet should be done as well from time to time. You still need to eat solid foods.